Full Description: From the Ruth Askew Collection. 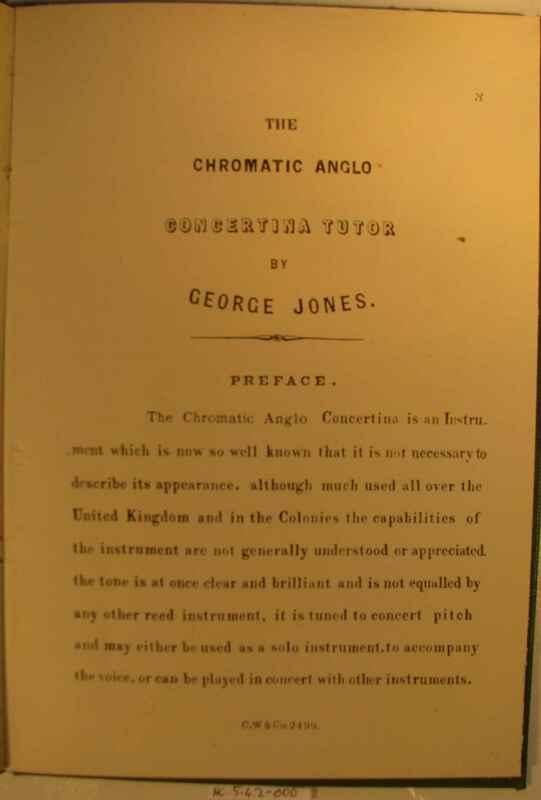 Tutors for the British-style Chromatic Anglo Concertina: Two soft-bound copies of "The Chromatic Anglo Concertina Tutor by George Jones", publ by C Wheatstone & Co, 15 West Street. 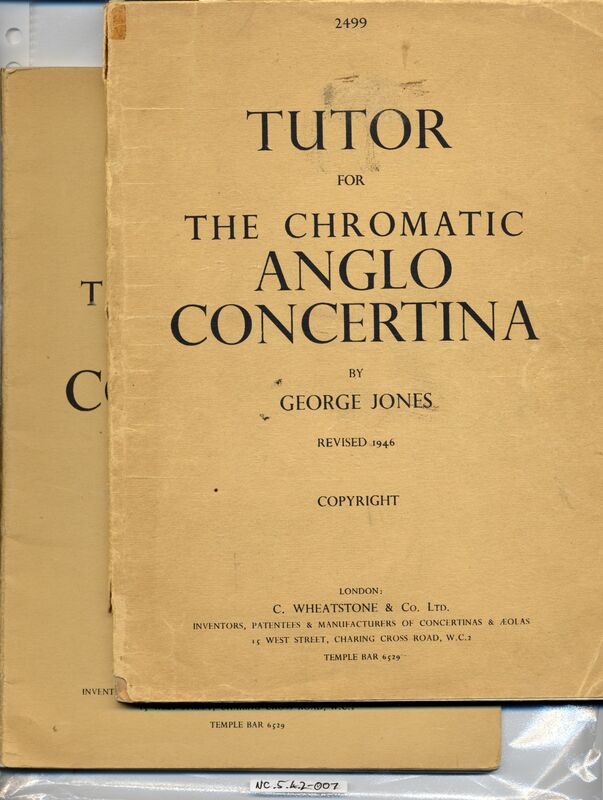 A later "Revised 1946" edition of this Tutor, CW No 2499.� An earlier edition is Item NC.5.4.2-006 in the Collection.